We’d love to be apart of your event and we can tailor a package to suit you. THE BOOTH YOU’RE LOOKING FOR. 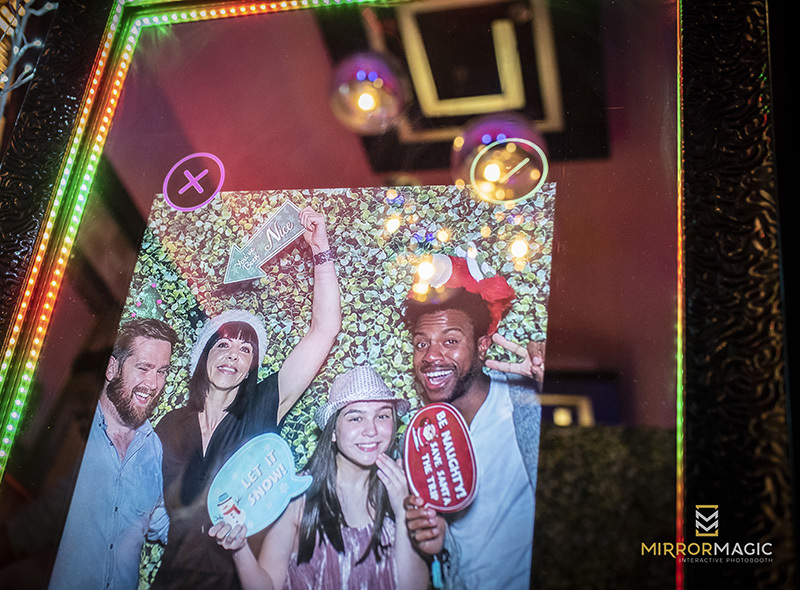 At Mirror Magic, we’ve ditched the stuffy booth and brought the photo fun out into the open with our open air Mirror Magic Interactive Photobooth. 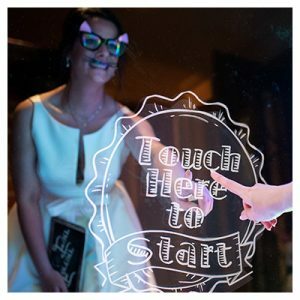 The giant touchscreen with a DSLR camera built into it, creates stunning photos of your guest enjoying the night! With photos that get shared and treasured forever. 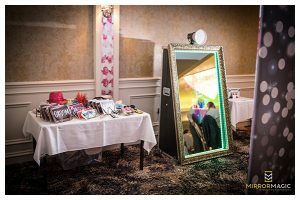 With unlimited photo printing and the best technology and so many ways to personalise our mirror for your day, we have the booth with the wow factor. How does Mirror Magic work? 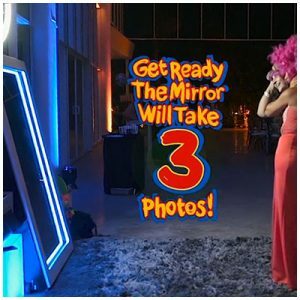 Using a two way mirror the guests can see their reflection just like a normal mirror, the mirror will then spark into life with animations displayed on-screen inviting guests to ‘touch the mirror.’ Once the guests activate the mirror it will then display customised messages and a countdown before taking 1 to 4 photos. 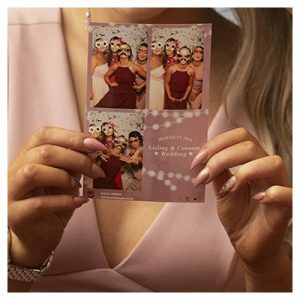 After the photos are taken the mirror then displays a message asking the guest to sign or add their name to their photos, these images can then be printed and shared via email to social media. We can create a online gallery for you to download, share, send or blackmail your friends with. See below for our package options. For larger events you may want to consider more time to allow maximum usage by guests. Email us for recommendations and quotes. 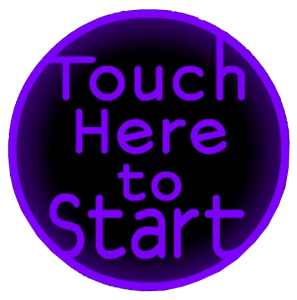 We design, create and customize graphics to show on the mirror for you events theme, with company name, logos, date, colours and more. 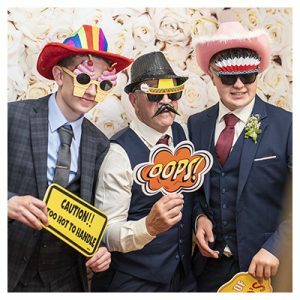 Choose from our selection of unique photo backdrops, enquire with us if you would like a customised media backdrop. 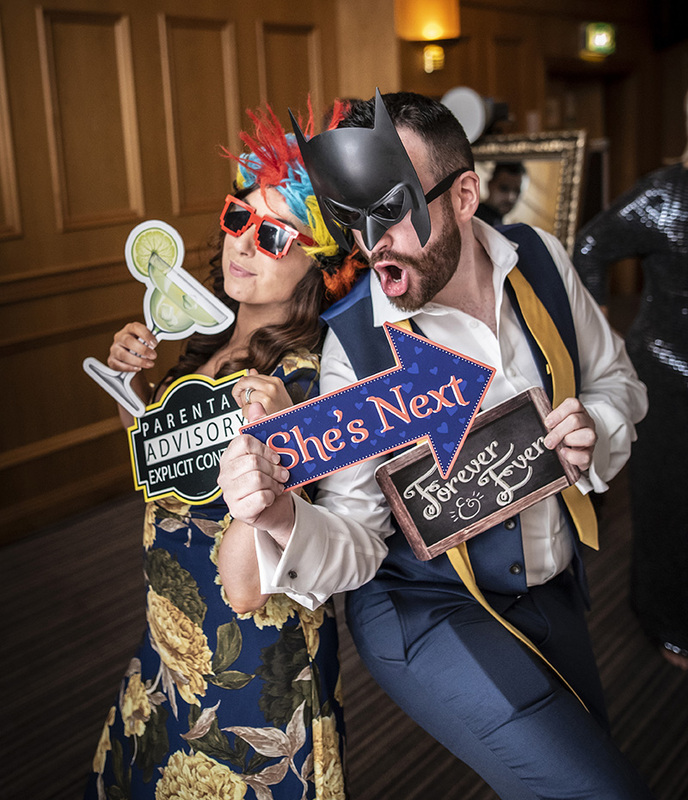 We have loads of props, hats, masks, glasses and bespoke signs to add to your photos. 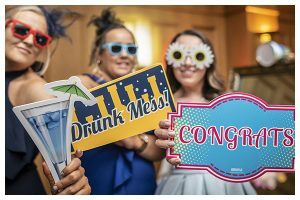 At every event we have two attendants they make sure everyone is having a good time and gets the best photos taken. 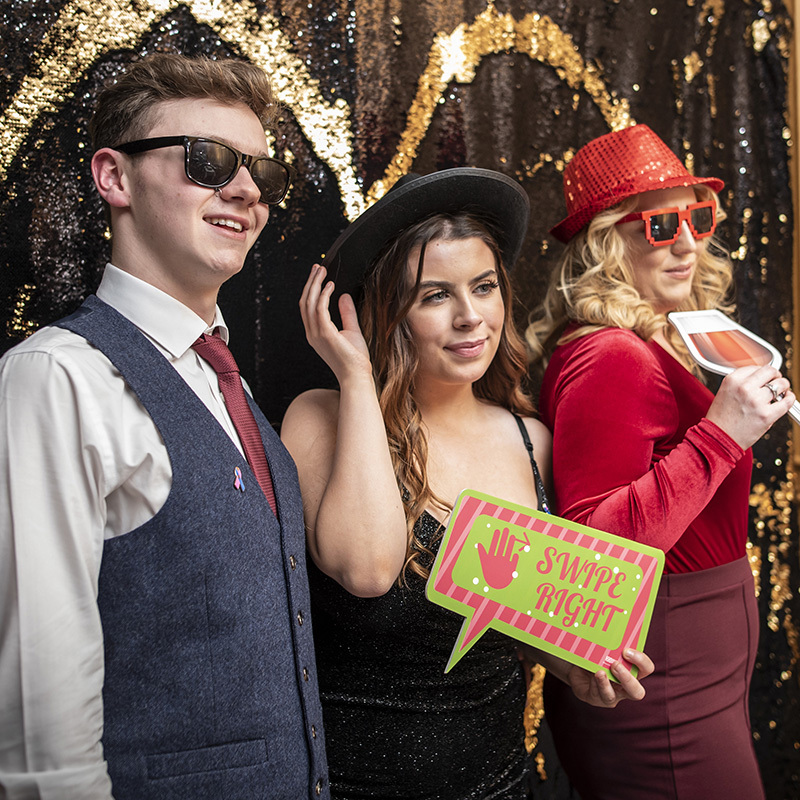 Our photos are ultimate profile pics, email them direct to your phone and share them on social media straight away. Have something special in mind? A way you want our mirror to work for you? We’d love to hear your ideas!